Long-Leaf Thelasis is a small sized orchid found growing on trees, with a conical pseudobul. The plant carries a single, apical, narrowly oblong to inverted-lanceshaped leaf, which tapers below into the stalkless base leaf. The plant blooms in the spring through early summer on an erect, hairless, 14-18 cm long, somewhat densely many flowered inflorescence. 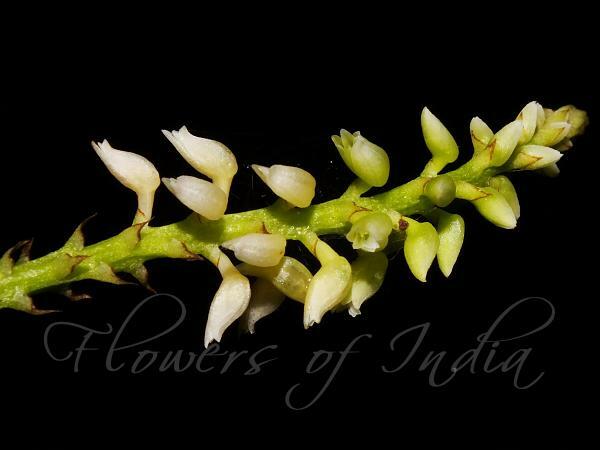 Flowers are about 5 mm in size. 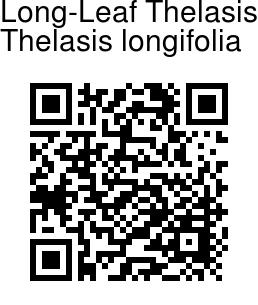 Long-Leaf Thelasis is found in Assam and the eastern Himalayas in tropical valleys. Identification credit: Nidhan Singh Photographed in Tippi, Arunachal Pradesh.